Karimunjawa Archipelago, a very wonderful creature island in north of Central Java. It has 27 islands which enjoyable its beauty. Included into sub-province Jepara, Central Java, this archipelago is surrounded by the calm of Jawa Sea. Therefore, this place is the right choice for having a vacation to refresh your mind from weary, exhausted, and bored of the routines. What could you see there? Of course, many of you want to visit this island for enjoying the incredible island and trying to find out the information from internet. By the time of people can access the internet easily, it helps so much for you to find about it. Sea? 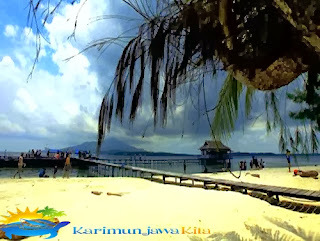 indeed, it becomes the mainly tourism of karimunjawa. Its nature which has beautiful sea becomes the best place for you who like water tourism. In karimunjawa, we will see the beauty of the beach in unpopulated islands. Could you imagine that? It’s still very unexploited because never been touched. Karimunjawa archipelago which consists of 27 islands, it will spend a lot times to go around them. So, Karimunjawa tour package offer you to visit the closer ones (karimunjawa is the biggest island among karimunjawa archipelago and it’s located as main gate of this archipelago). Some islands which normally visited as tourist attractions are : Menjangan Besar island, Menjangan Kecil island, Geleang, Cemara Besar, Cemara Kecil, Middle Island, and Kecil Island. In other side, the tourist will also be invited to see undersea life of karimunjawa island. Through snorkeling (the equipment is provided), we can get closer seeing the biota, coral reefs, fish, and many other living creatures. One more thing becomes the best choice of this place is breeding sharks that will be unforgettable sight for you here. In Menjangan Besar island (the closest island), there are 2 ponds with the sharks. But don’t worry, because this wonderful creature has been benign since living in the ponds. Dare yourself to swim with them and take photos for your best experience ever. 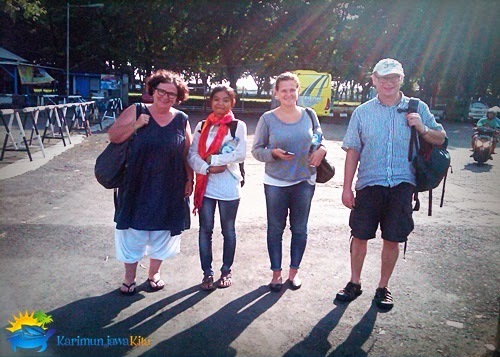 Because so many people intending to travel to Karimun Java, therefore there are a lot travel agents emerge. In year 2013 more or less 50 agents pop out offering karimunjawa tour package. They give you various choices such as backpacker, hotel, homestay and honeymoon package. All these travel agents are in competition each other to give the best service. By choosing us to guide you, you don’t have to be confused and worried again to think about the ship ticket, the ship schedule, the hotels, meals, or arranging the activities here. We are ready to serve you. Karimunjawa which is located in 85 miles sea of Jepara land, most of daily needs depends to Jepara including rice, fuels, and other needs which automatically the life funding will be more expensive than another place. It becomes the consideration to accommodate the money along the vacation. By joining with one of our travel agents you will be practically and easily arranging all those needs. Started from the ship ticket and everything will be served. Especially the typical food here. The mainly thing you have to know is the professionalism of our service. How to get the right choice of your travel agent? There are some factors should be underlined in choosing the travel agent, for example the schedule of tour, many of travel agents which can’t give you information completely about karimunjawa. Even, they just droop you from one agent to other agents for getting the profit. 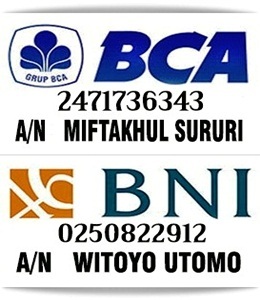 Such this travel agents do not work properly as they do and they come normally from outside of karimunjawa island itself. On the other hand, they know nothing about the history of this wonderful island. Another case also happens such as the service of meals offered to the tourists. Most of karimunjawa area is beach and sea, of course the natural product is dealing with sea. When you take the wrong choice, you can’t taste the typical food provided. The travel agent will serve you with some kind of fish coming from this area. The fish you never find before. That what we do as Karimunjawa travel agent package. Giving you the best moment for having a wonderful vacation in a wonderful island, KARIMUNJAWA. Find the further information about KarimunJawa Island, Tour Package (Backpacker, Family, Honeymoon, etc), Package Price, The Schedule of Ship, Pictures, Hotel Information, Contact Person, Payment Account Number at www.karimunjawakita.com. Get the brief explanation by contacting us for you who wants to visit Karimunjawa Island, the heaven island of Indonesia.